Schools4Freedom are the catalysts for a life free from slavery. Our schools help bring entire villages to freedom by educating children and empowering adults to break free and stay free. Schools4Freedom brings entire villages to freedom by educating children and teaching everyone about their rights. 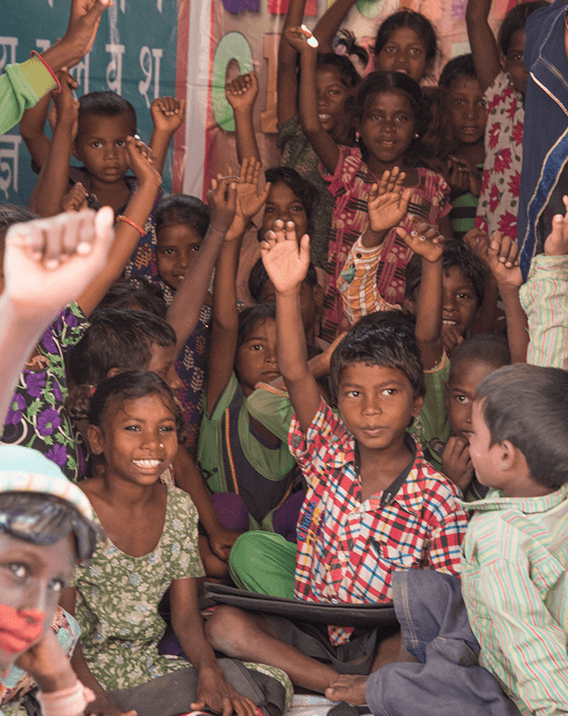 At our schools in northern India, children are taught the 3 Rs and everyone learns how to use the legal system to fight their slave owners and free themselves forever. No more children will be born into slavery in these villages. And freed villagers then join other freed villages to spread the lessons they've learned to help bring more communities to freedom. The School4Freedom we build is the distribution channel for knowledge about the villagers’ rights, their ability to organize for freedom, and their hope for a better life. Students will spend three years getting up to grade level so they can catch up and confidently transfer to Indian Government schools. Each school serves at least 40 former slave children, educating and empowering them to break the cycle of slavery. By educating the childen, the school becomes the catalyst to bring entire villages of 100–200 people to freedom. Schools4Freedom provides everything needed to help bring an entire village to freedom. Each school costs a total of $38,885 or less than $13,000 a year. That budget includes the items listed below, as well as the ability to protect others from the slavery trap and continue changing systems that have kept these communities vulnerable for centuries. local community workers to advocate for villagers with the government. The school is established in the village and the children are rescued from slavery and given healthy hot lunches at school. Community needs are documented and analyzed. The Voices4Freedom frontline team visits regularly to build trust and begins the dialog about rights and education. While the children are in class, the frontline team works with the adults to free themselves from slavery. They learn to organize and access government programs. 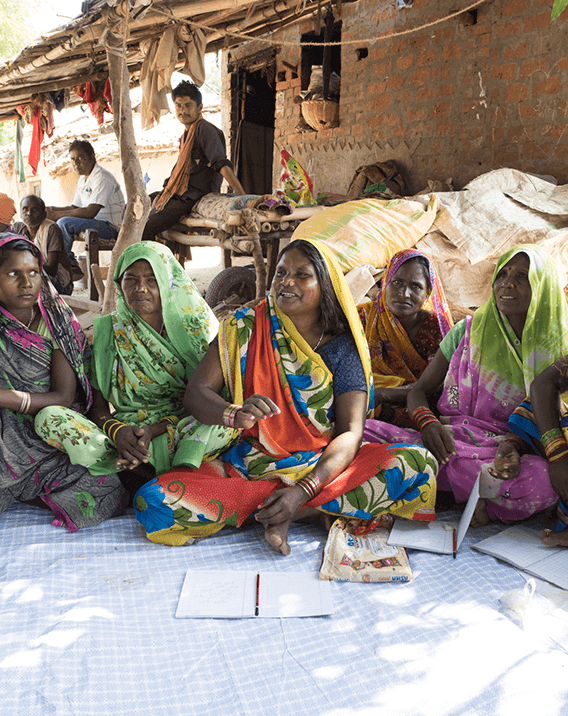 The women’s Self-Help Group starts learning methods for saving money that will lead to a village savings account, so no one will ever have to take a loan from a slaveholder again. 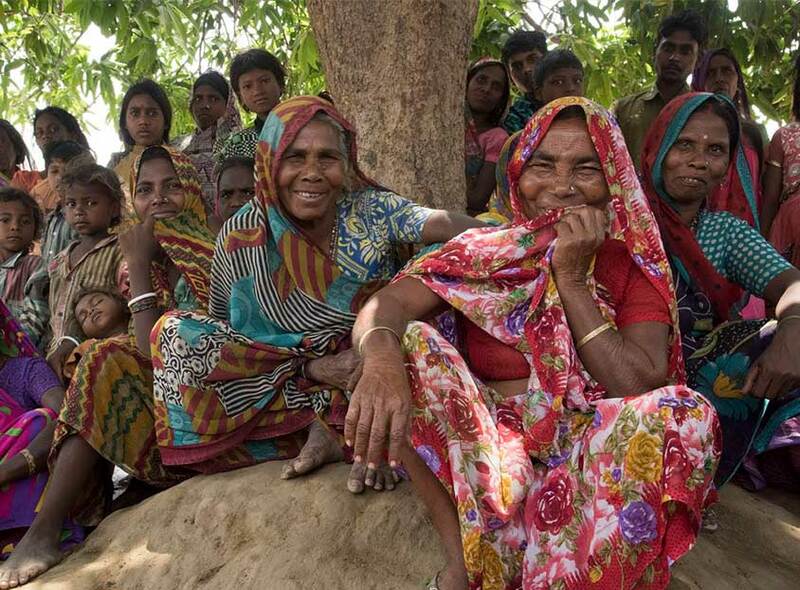 Community Vigilance Committees are organized as villagers organize themselves for freedom. 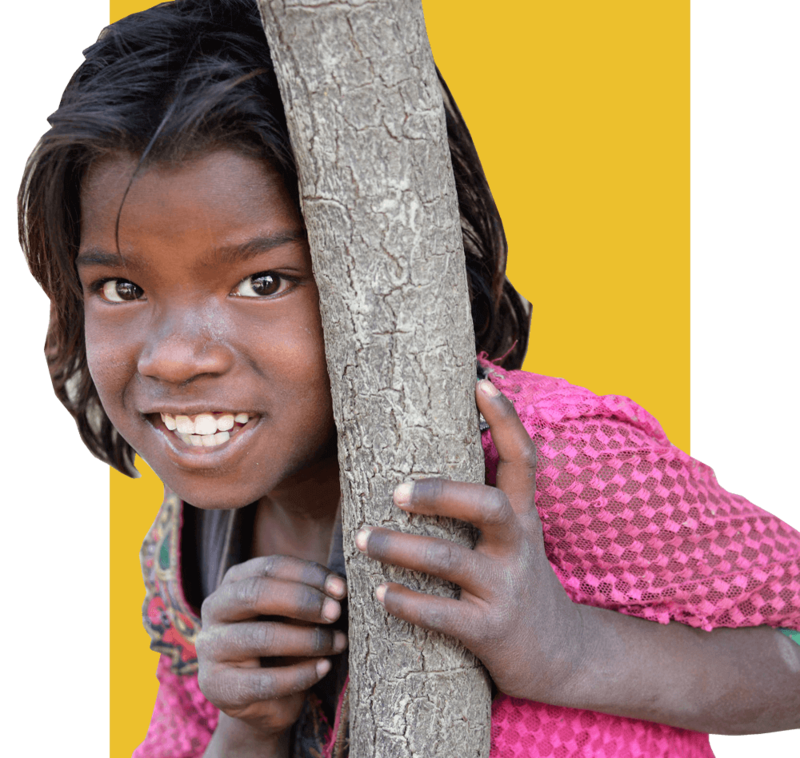 Each year villagers are freed from slavery and those who have been trafficked out of the area are found and reunited with their families. The needs and progress of Schools4Freedom students is ongoing, as well as needs in the community. Exposure visits are organized to bring the students to government bodies (police station, hospital, AWW center, ration shop). The women in the SHG program open bank accounts and are linked with micro-finance programs. Villagers get job skills training based on their interest and accessibility. Monthly meetings with adults and Schools4Freedom teachers are held for capacity building and continued support. The community establishes a tracking program for anyone who migrates for jobs and is given tools for agreeing on daily rates and receiving payment at the end of each day. Village leaders emerge in the CVCs. In order to stay free, the community must stay informed and active by having monthly meetings. 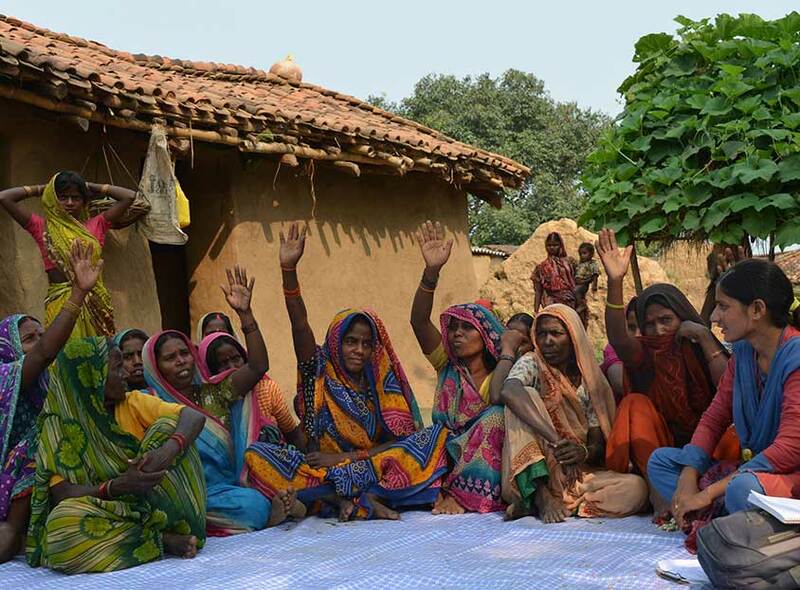 These village meetings lead to district meetings, where the S4F community can connect with nearby villages for discussion and support. The S4F community helps other villages come to freedom and prevents others from being enslaved in the first place. Meanwhile, back at the school, the children are catching up to grade level and transitioning to Indian Government School. The women in the SHG group have started saving money through their micro enterprises such as cattle rearing, cultivation, fishing, carpet weaving, etc. At this point everyone in the village is free from slavery. The frontline team continues supporting the adults in accessing government programs and job opportunities. By the end of the 3 years the entire village has all the tools they need to keep themselves free and help break the cycle of slavery around them. Through our Schools4Freedom program, we’ve helped bring thousands of people to freedom and restore their hope and dignity as human beings.